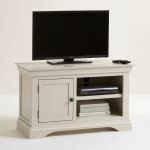 The Arlette small grey TV unit is perfect for adding a clean and sophisticated look to your living room. 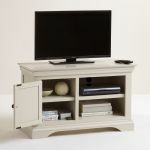 It boasts a compact size, packed full of storage, helping to keep even the smallest of living rooms looking their best. 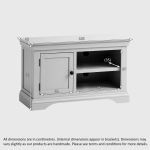 The shelves, ideal for storing your media players, gaming consoles, and more, have exit holes at the back for cable management, and it also features a storage cabinet too that helps keep clutter out of sight. 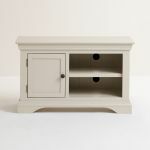 The unit has a smooth versatile mid-tone grey painted finish, signature to the Arlette range, which brings a crisp look to some of the more traditional design elements. 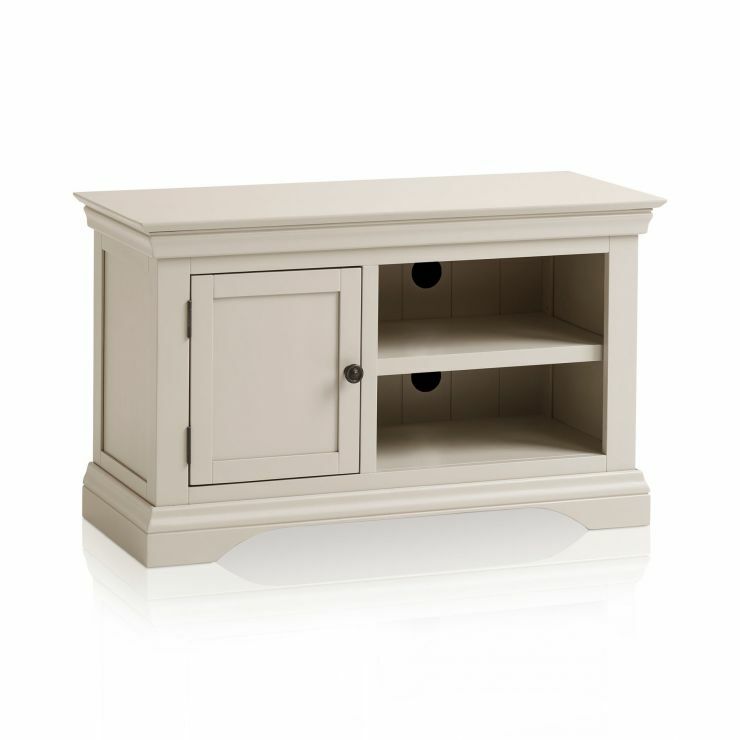 The top has decorative cornices, the base is arched, and the cupboard door fronts are panelled. 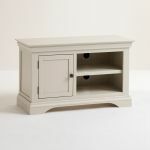 Styling is completed with dark metal button knobs for a touch of modern contrast. 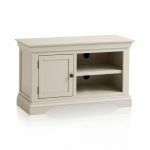 Discover more beautiful Arlette looks for your living room today, and don't forget, we offer free delivery, straight to your living room!